Negative Feedback?! Fixing broken Ebay purchases. 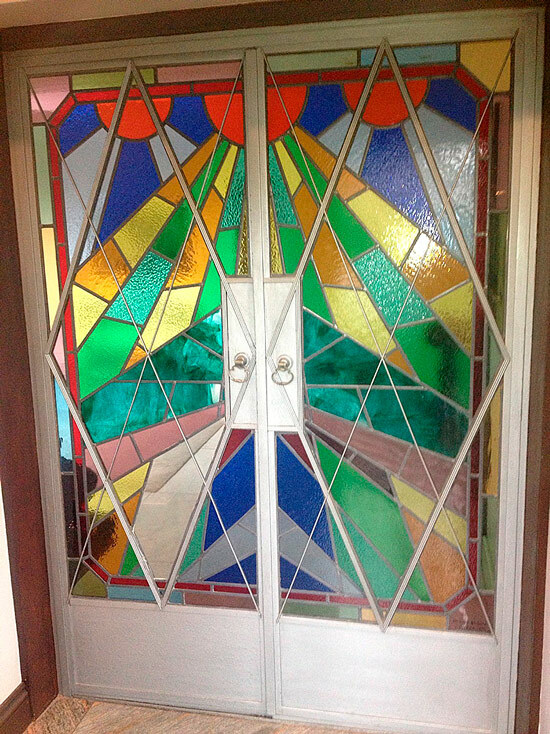 Recently we had an enquiry from an ebay user who had successfully bid on these doors without actually seeing them. Whilst negative feedback warns others what our customer needed to do was find a way of fixing the broken purchase seemlessly. They were located in a private house in Hampstead which was being refurbished and due to be stripped out. 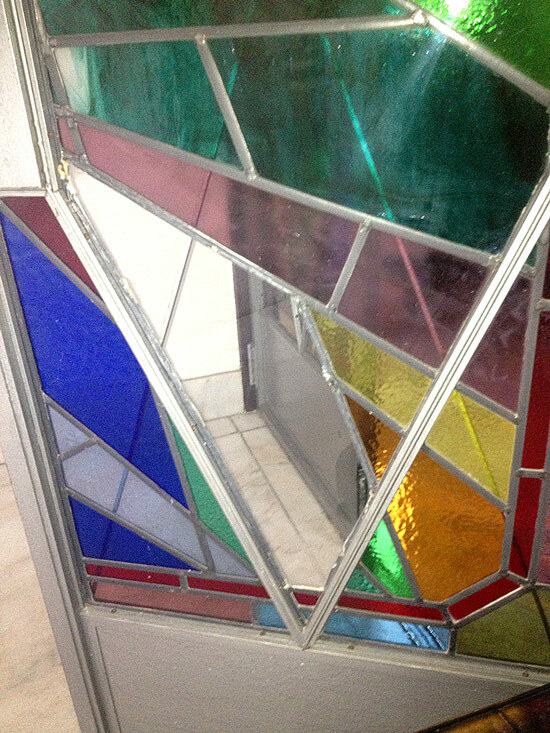 The listing was short and simply stated: Beautiful internal doors in silver chrome look frame with coloured glass panels and with one additional comment: Odd mark on frame as shown in picture. However – if you look closely at the left hand door a significant part of the lower panel has been lost and replaced with clear glass including losing the lead came – this of course was not mentioned and was the reason for the call to me. 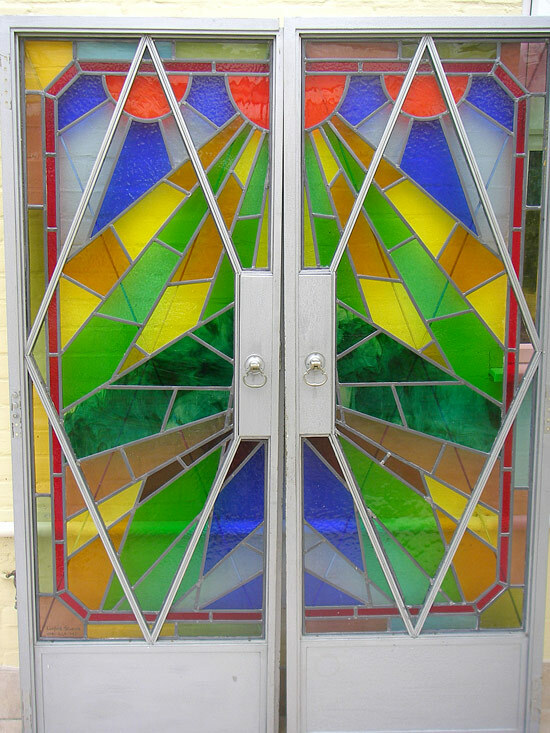 The doors are now back looking splendid after some sleuthing on glass types aided by my friends at Kansa Glass in Barnsley and ready to be fitted into their new home near Bury St Edmunds – and if you were wondering I can confirm with the steel framing they are incredibly heavy! 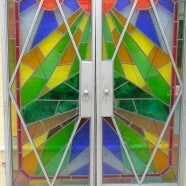 The panels were originally built by a London based glass studio which has now closed down and relocated – their signature is engraved in one corner of the panels.